I don't typically do Thursday updates, but I felt I owed my readers one after Wednesday's "non-update" (especially since this is potentially an important moment for the market), so if you missed that update because you don't check the blog on Thursdays, please refer to it here. Today's update will be something of a continuation of that update and will only focus on the near-term, since the bigger picture across multiple markets was covered in considerable detail yesterday. 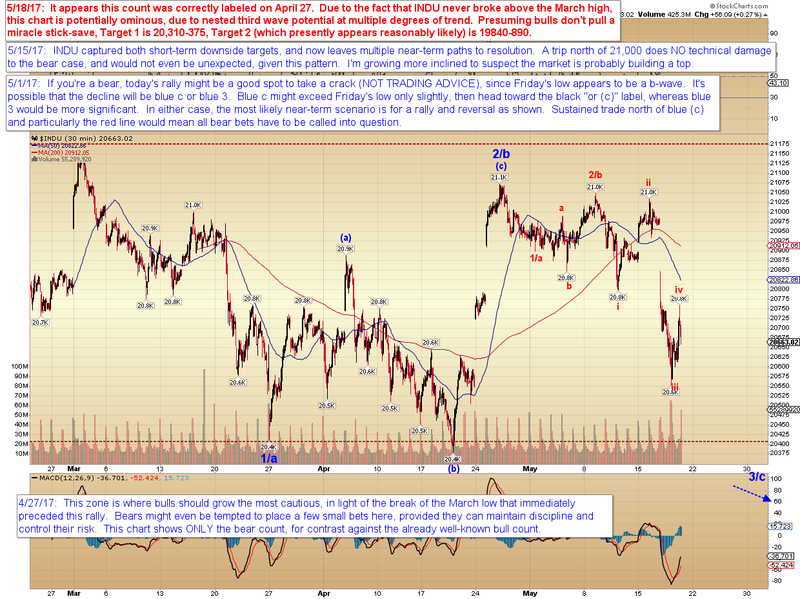 Yesterday, this was the only specific near-term chart I published, and INDU bounced directly off the red iii I had placed on this chart. It then proceeded to exceed the iv label I'd placed, but no invalidation levels were cracked on that rally, so it still fits just fine as a potential fourth. Since I couldn't use Stockcharts to move the iv label to its appropriate location, I had to do that in Photoshop (!). (Thanks for wasting my time, Stockcharts!) The red iii label is still exactly where it was yesterday. For SPX, I did a brand-new chart (thank you again, Stockcharts!). 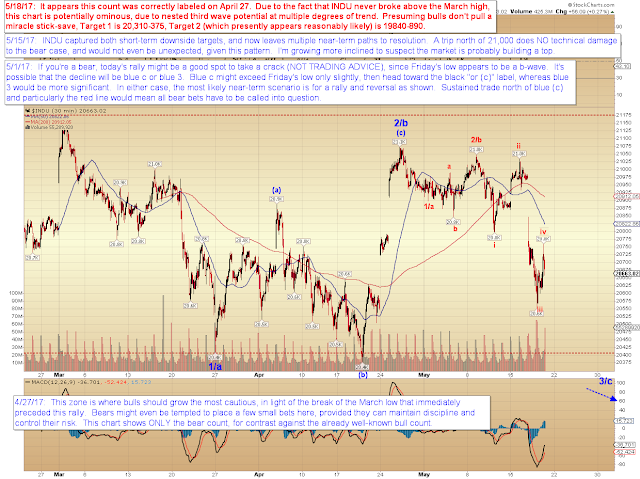 On this chart, I've included the bull count that might fit this pattern. I'm not favoring that count, but it pays to be aware of the alternate options. I've also outlined the next important near-term level (2383), and what to watch in the event SPX were to sustain a breakout beyond it. 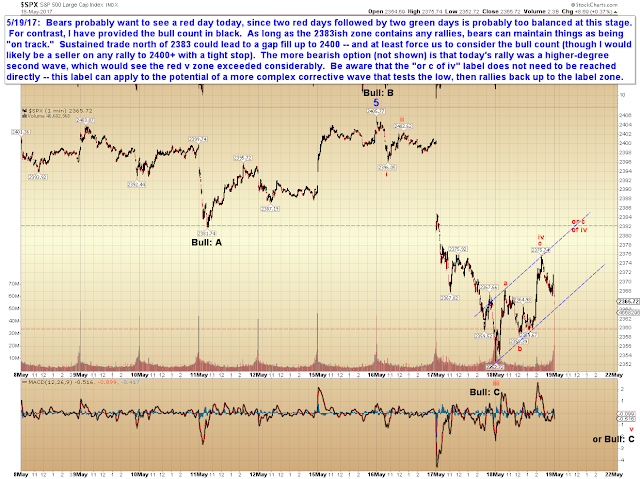 In conclusion, there isn't much to add to yesterday's reasonably-thorough update, except for a bull count just in case the market is doing something unexpected. I will remain near-term bearish here unless SPX sustains a breakout over 2383, or until there are signs of a more significant bottom. Trade safe.